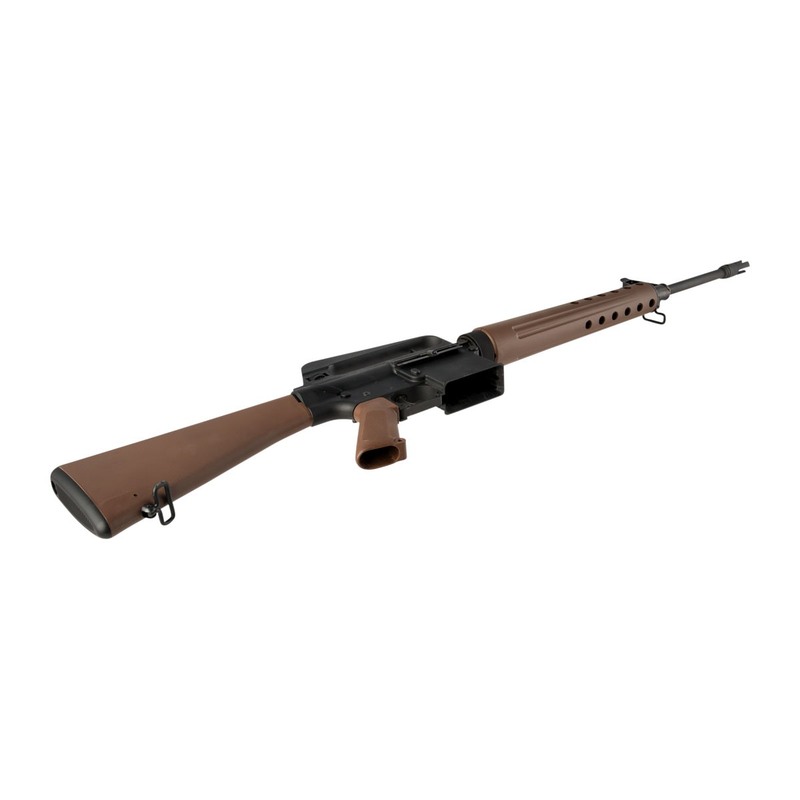 The BRN-10® by Brownells is a recreation of Eugene Stoner’s original lightweight .308 caliber battle rifle that revolutionized rifle design forever. For the first time, it is possible for the shooter of average means to own - and shoot - a meticulously detailed, factory-new, semi-auto replica at a fraction of a scarce original’s price. 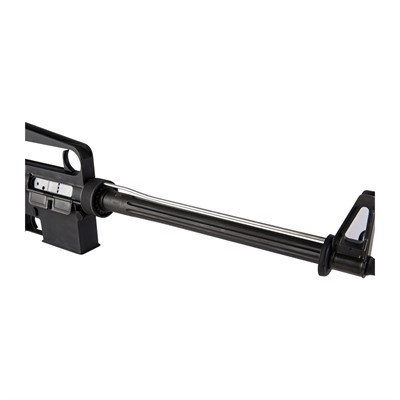 The BRN-10® accurately replicates the original .308 AR in great detail - and it’s built to modern standards using the latest manufacturing technology. 21st Century Technology Meets Historical Detail. Designed in partnership with FM Products, our BRN-10® receivers are fully machined, not forged, from 7075 T6 aluminum billet. 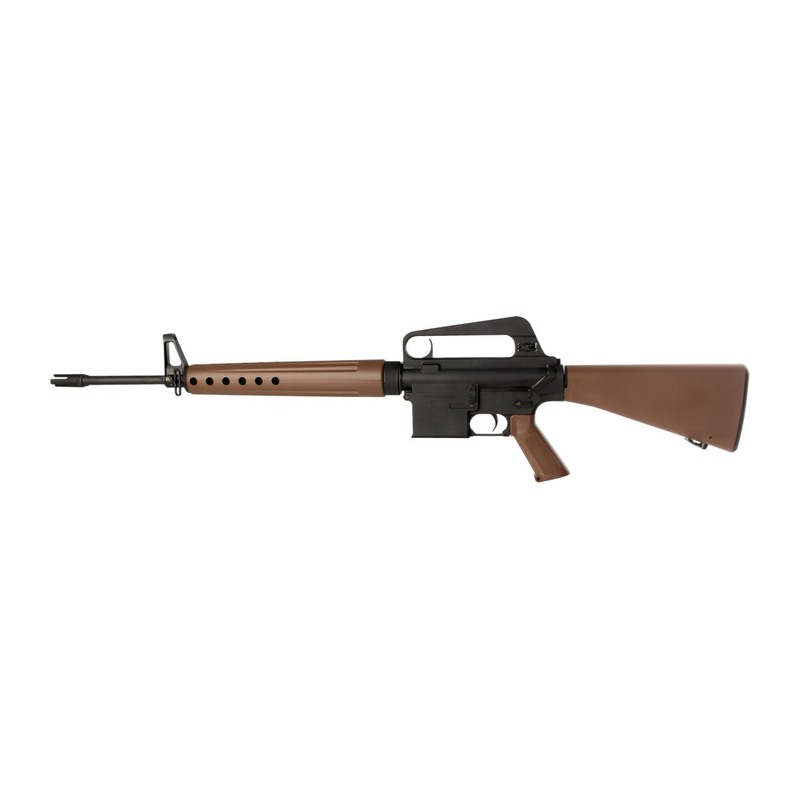 The distinctive lines of late Armalite® AR-10® rifles are carefully reproduced, including the slab-sided lower with straight magazine well. Takedown pins, selector lever, magazine release, and bolt release all have crisp horizontal serrations that match the original rifles. Clean, Uncluttered, Still "Futuristic". The absence of a forward assist and shell deflector makes the BRN-10® upper unusually uncluttered. 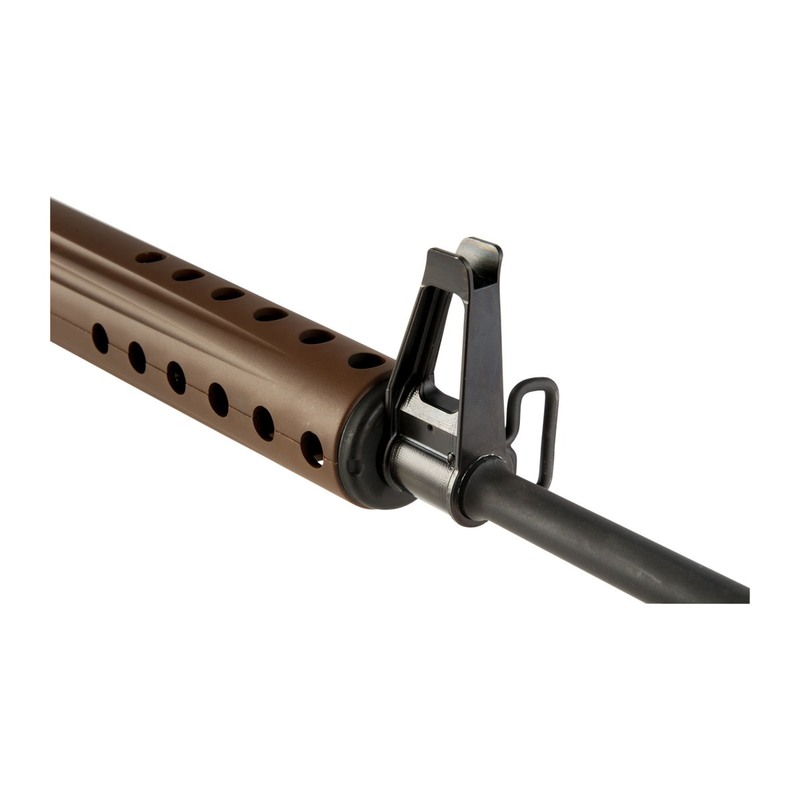 Up top is the original "trigger"-style charging handle prominently located under the carry handle and positioned for rapid, easy operation - a practical benefit somewhat lost with the later charging handle location. 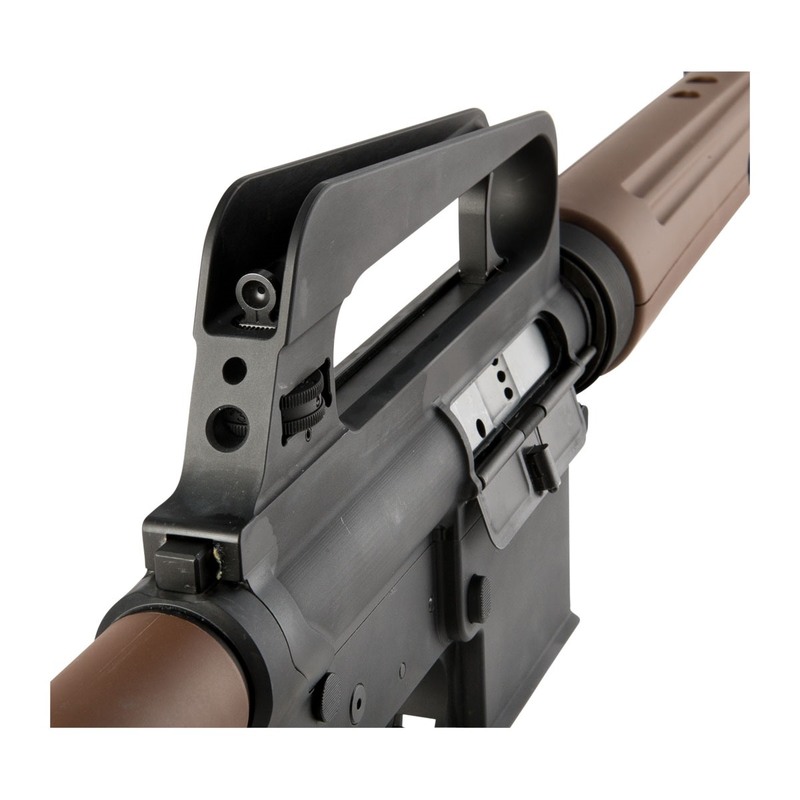 The BRN-10’s rear sight is fully enclosed by the carry handle, like the original. A simple, A2-style horizontal thumbwheel lets you adjust elevation, while windage is changed by loosening a setscrew and drifting the rear peep. A small window in the rear of the carry handle lets you see the current elevation setting. Detail Under the Hood. 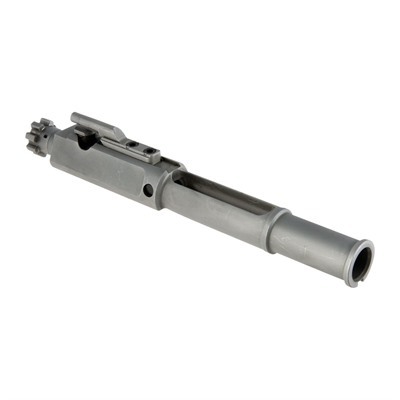 Inside the BRN-10®, the carrier has the distinctive flats and two stabilizing flanges at the rear found on early carriers, and the entire bolt/carrier group is chrome-plated. The bolt itself is machined from 9310 carbon steel and magnetic particle inspected (MPI) to make sure there are no microscopic flaws that could cause premature failure - a benefit the original guns did not have. The BRN-10’s 20" barrel, chambered in .308 Winchester, is made for Brownells by Faxon. 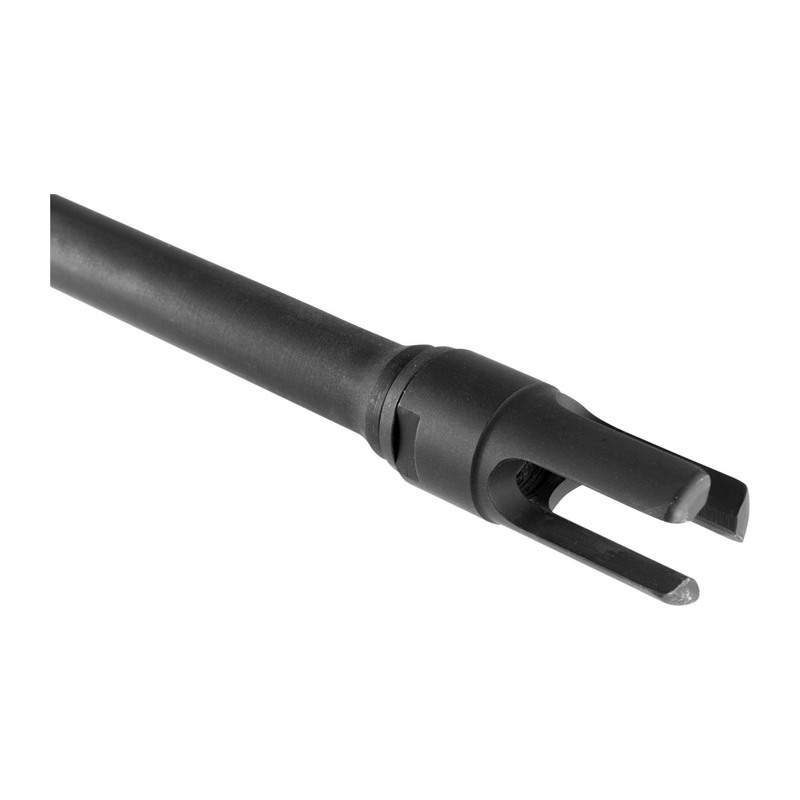 It first gets a QPQ Nitride finish for excellent resistance to surface wear. 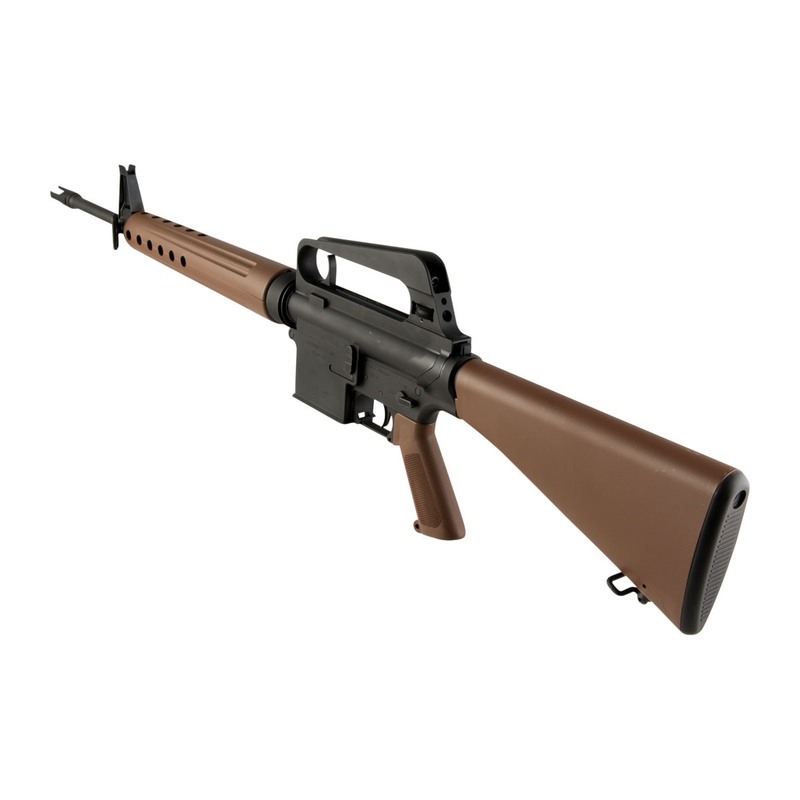 After nitriding, the barrel gets top coat that replicates the look of the classic manganese phosphate finish found on the 1950s rifles. 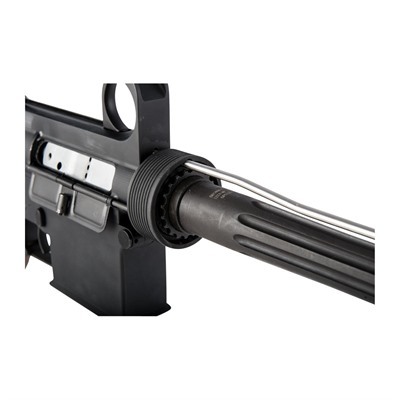 The handguard drops in like a standard AR-15 handguard, but its external contours replicate the original AR-10® ’guard. Buttstock and pistol grip are from the Brownells Retro line; the buttstock is a Type D stock, without a trap door. Choose Your Model. 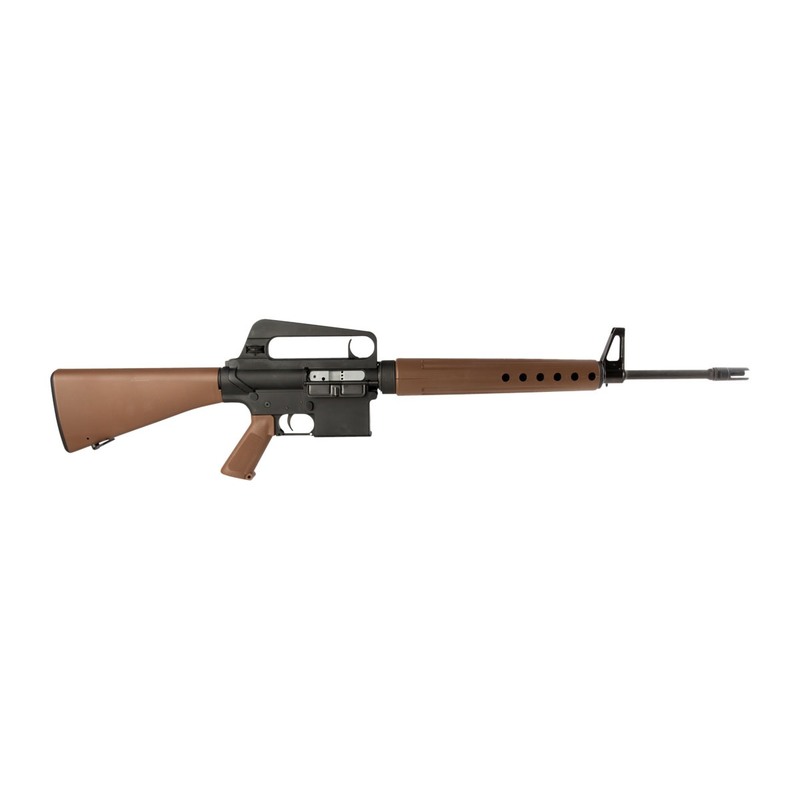 The Brownells BRN-10® rifle is available in two models. 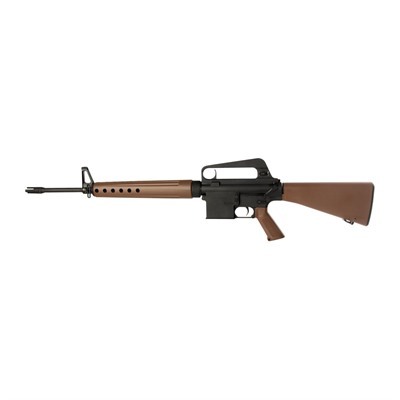 The BRN-10A leans heavily on the earliest rifles, with an open 3-prong Dutch-style flash hider, functional heavy fluting on the barrel under the handguard, and brown furniture that mimics the look of the original fiberglass. 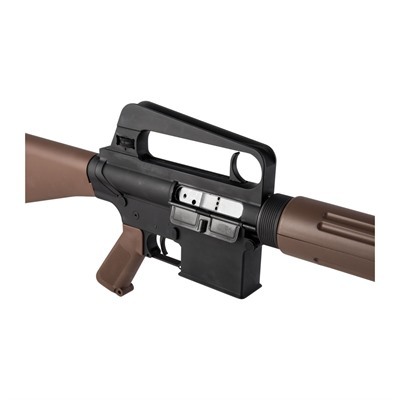 The BRN-10B is inspired by later export rifles and has a closed-prong, Portuguese-type flash hider, later-style black furniture, and a lightweight barrel that makes for a surprisingly quick-handling .308 rifle. Up-to-Date & Compatible. 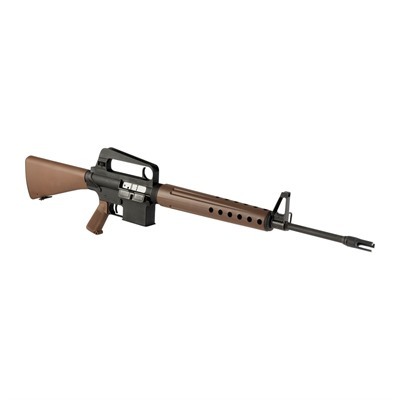 Brownells BRN-10® rifles accept standard metal DPMS/SR-25 magazines. They are NOT compatible with Magpul PMAGs due to lower receiver contour. A majority of the components on the BRN-10® are compatible with modern DPMS/SR-25 parts or AR-15 parts. See Compatibility Notes below. 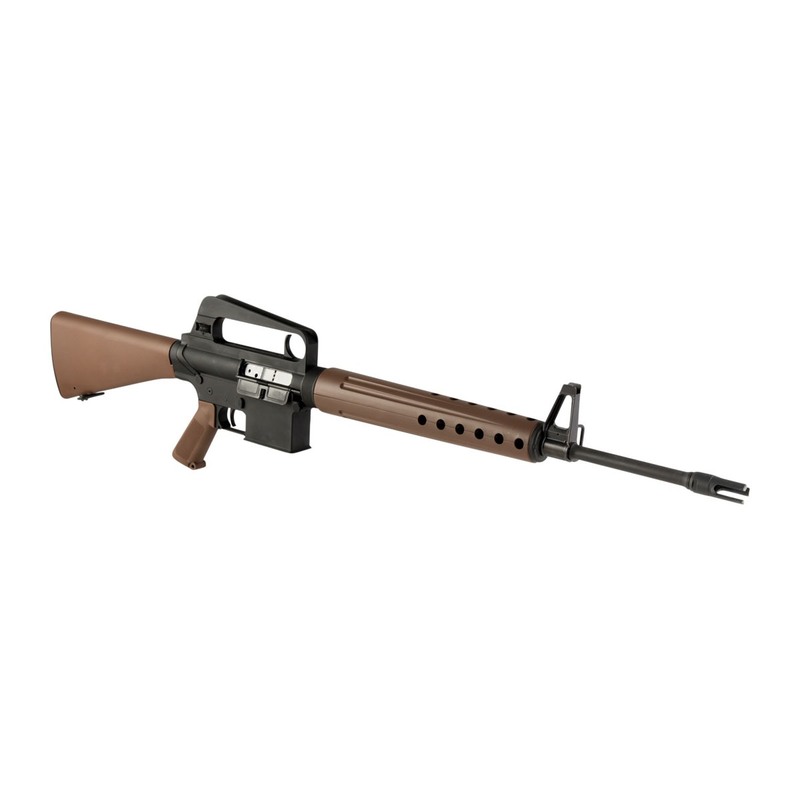 Compatibility Notes: DPMS/SR-25 compatible parts on the Brownells BRN-10® rifle include: magazine, bolt/carrier group, barrel assembly, barrel nut, slip ring assembly, crush washer, muzzle devices, buffer, buffer spring, handguard, magazine latch, and magazine release spring. AR-15 compatible components include: front sight base assembly, gas tube, handguard cap, drop-in GI-style handguards, receiver extension (buffer tube), buffer retainer & spring, takedown detents & springs, selector, selector detent & spring, trigger assembly, buttstock assembly, and pistol grip & screw.